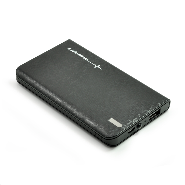 Charge your mobile device on the move with this powerful back up battery. These use a high quality LiPo battery - Not to be confused with cheap alternatives! 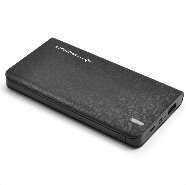 Choose from 4,000, 6,000 or 10,000 MAh power depending on what you need. The Lifeline Pocket range is perfect for charging all sorts of devices that use USB power, such as vaporisers, satellite navigation units, smart watches, digital cameras and our borescope inspection cameras. These beautifully designed, sturdy units feature impressive charging capabilities thanks to advanced battery technology. 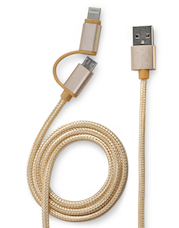 "We think they're the best currently available on the market - when it's in your hand, the quality speaks for itself. 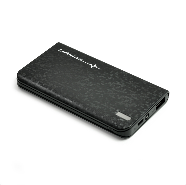 Many companies are selling these portable powerbanks, the Lifeline Pocket range really do stand head and shoulders above the competition. We tested the mid range 6,000 MAh model and charged an iPhone 6 from flat, twice, when the Pocket was fully charged. For the modern world, it's ideal. Carrying a charger for your phone everywhere and trying to find somewhere with a plug just isn't practical, sowhy not take a spare battery instead?!"